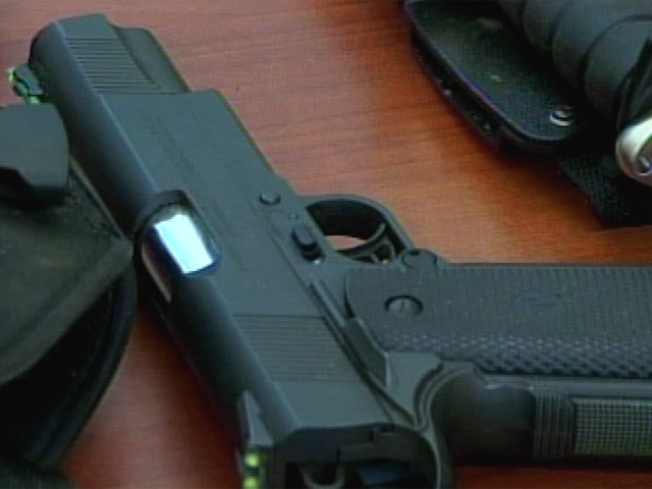 Seven people in MIddletown were robbed at gunpoint. Middletown police are on the lookout for five armed men accused of breaking into a home, pistol whipping the people inside and making off with cash. It happened just after 11 p.m. on Tuesday on DeKoven Drive. Officers say five men, dressed in dark clothes, broke into a third-floor apartment. When the burglars came face-to-face with the seven people inside the apartment, they brandished handguns and ordered them to hit the floor, police said. Two victims were pistol-whipped in the process and suffered minor injuries. The men stole money and an X-box video game before fleeing the scene. Middletown police have not been able to track the men down. This appears to be an isolated incident and the men might have targeted the apartment, police said. Police said they are looking for several people of interest.